With over 25 years experience, there isn’t a scenario or problem that our Earthing Consultants and CDEGS accredited Research Engineers haven’t seen or solved, which means you can breathe a little easier knowing your Earthing System Design is in safe hands. Using the latest world-renowned industry accepted top 1% version of CDEGS software – Studies include fault current distribution (or split), earth potential rise (EPR), and safety voltages (Touch and Step) studies. These are packaged into a visual format that not only achieves compliance but can be understood by all disciplines involved in the project, not just the electrical team. Having robust useable information that crosses the disciplines can make a real difference in the delivery of a technically secure project – YOUR project! 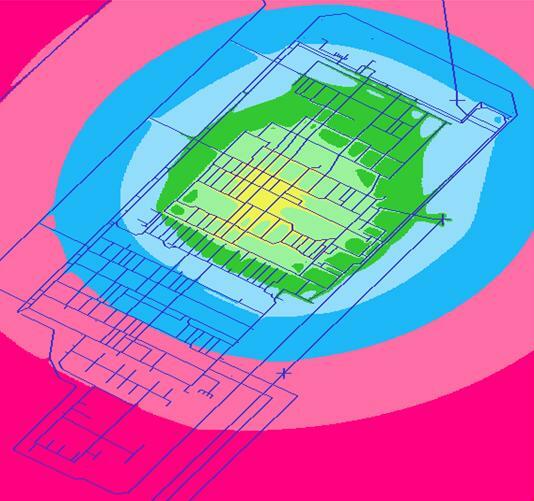 Whether routine equations or advanced computer simulation, our safety calculations will deliver earthing design compliance. Using specialist software such as CDEGS and bespoke MathCAD equations, we can calculate Touch and Step Voltages, the modern day fundamental safety-related quantums for a high-voltage electrical installation. Assessment of the external environmental impact of an earthing system design by calculating surface voltages (Hot Zone), and transfer potentials to other nearby earthing systems or equipment. The importance of a robust Soil Resistivity Testing model free from errors cannot be understated! 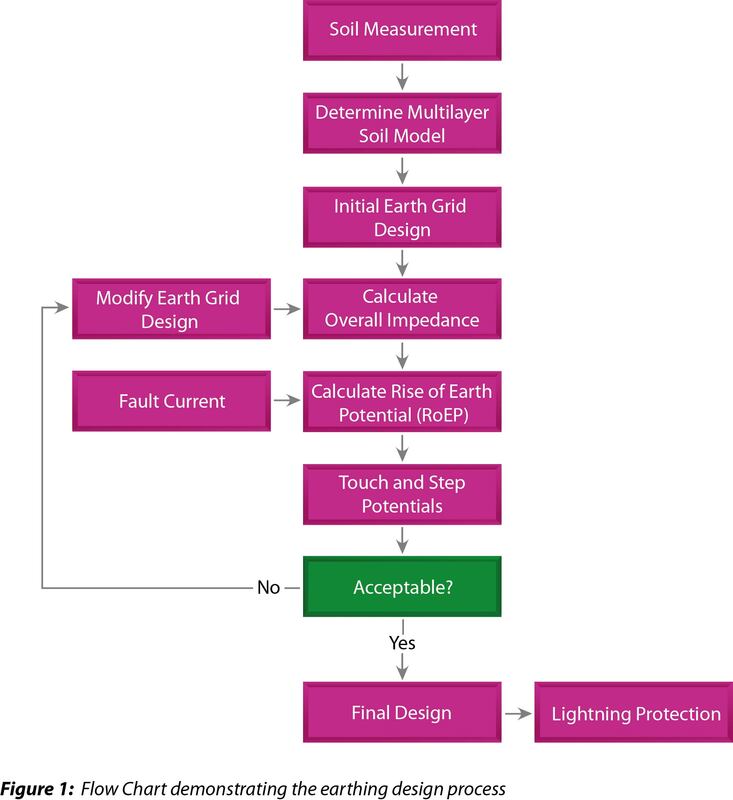 The Soil Structure is a foundational requirement for every electrical earthing systems design – get this wrong and the subsequent electrical earthing system design may be flawed. That’s why GreyMatters has invested in high signal injection specialist resistivity instrumentation, e.g. 400 – 800 V polarising compared with 50 – 150 V from the more common units like the DET2/2. Having a high signal injection voltage gives you reliable, robust results in even the highest resistivity geologies to take the doubt out of the equation! From Condition Assessment Surveys, finite element analysis (FEA) software analysis using CDEGS and field earth measurements for high voltage applications from 11 kV to 1,000 kV (1 MV). Not all finite element software packages are the same, most earthing system design software continue to use a version of circuit theory based calculations to work out earth fault return current levels, step/touch potentials and similar safety critical data, which can lead to errors if all the data is anything less than perfect. What finite element electromagnetic field theory software does for the engineer is to unchain the range and scope of scenarios that can be modelled – it expands the possibilities of what can be studied to how Electromagnetic Fields produced by power systems can ‘interfere’ with, or interact with nearby structures and equipment. So, maybe you have a GIS (Gas Insulated Switchgear) substation, or overhead power line that comes into close proximity and you know something is happening above ground, but not sure quite what? An AC interference Study looks at this EMI (ElectroMagnetic Interference) voltage or circulating current that result which might be causing an inadvertent hazard. Armed with this knowledge, measures can be designed to deal with the risk. Have a quick ‘Live Chat’ with one of our online research engineers. Safety Calculations for touch and step potentials. BS EN 50522 Earthing of power installations exceeding 1 kV a.c.
BS 7340 Code of practice for protective earthing of electrical installation. ENA TS 41–24. Guidelines for the design, Installation, Testing and Maintenance of Main Earthing Systems in Substations. BS EN 50122 Railway applications Electrical safety, earthing and the return circuit. EA Engineering Recommendation S34. A Guide for Assessing the Rise of Earth Potential at Substation Sites. EA Engineering Recommendation S36. Procedure to Identify and Record “HOT’ Substations and amendment. IEC 479-1, Effects of Current on Human Beings and Livestock, IEC. ISIS Practice EPT/PPS/B014, Working Practices at Electricity Stations, British Telecommunications.